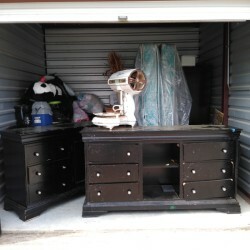 dining room set, bedding, totes, electrical material? 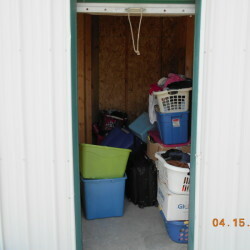 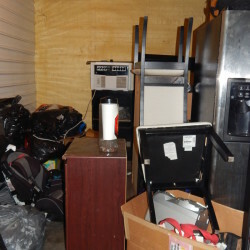 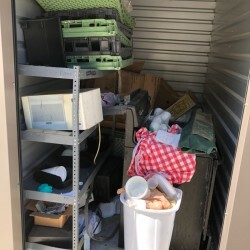 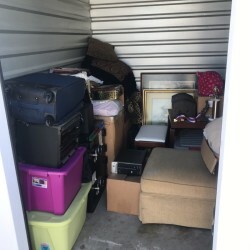 unit appears to contain window a/c, dvds, tile table, x-mas ornaments, dresser, bat, bedframe, mattress, cooler, grill, wood chest, mason jars, plastic totes, wicker basket, cardboard boxes, wood frame furniture. 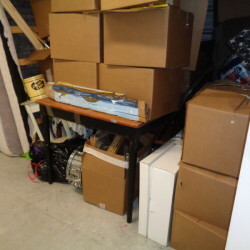 Dart bard w/case, floor jack, car ramps, rifle, gas cans, large entertainment center, couch, box of misc items. 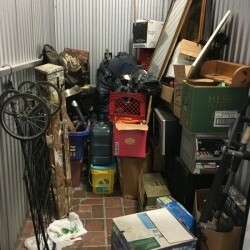 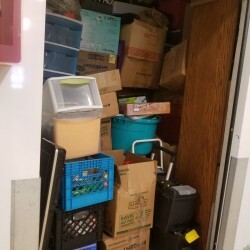 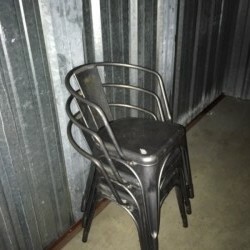 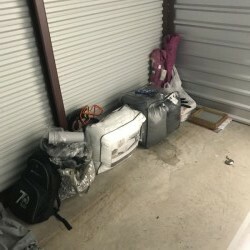 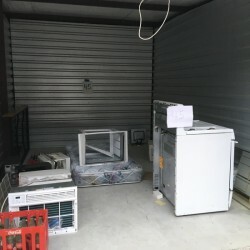 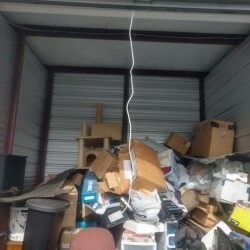 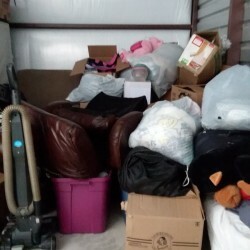 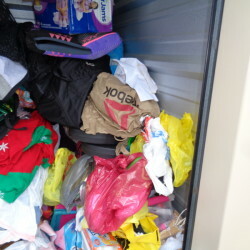 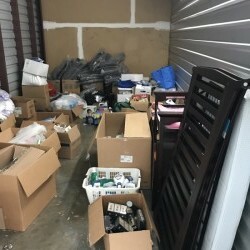 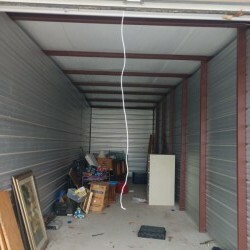 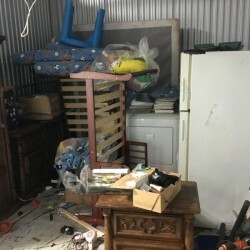 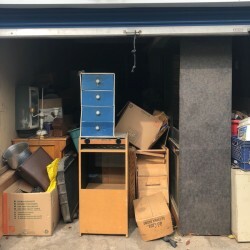 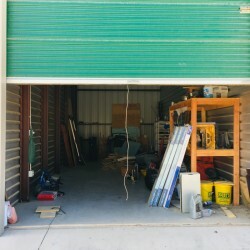 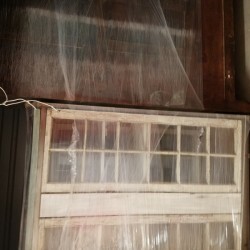 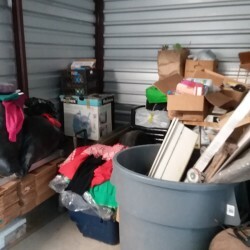 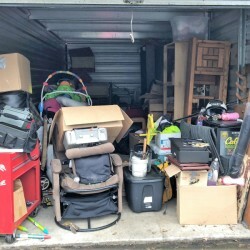 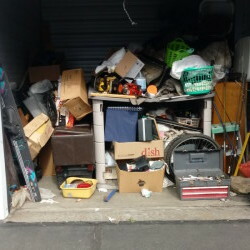 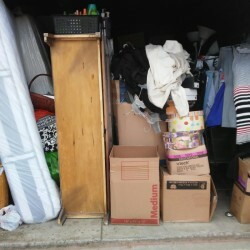 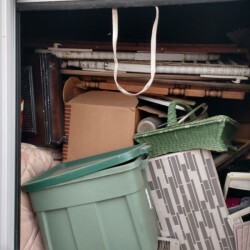 Electronics, Household Items, Totes, Luggage, Safe, Christmas Items, Furniture, Framed Artwork, Glass Items, Cast Iron Pan, Picture Frames, Pillows, Fridge, Coffee Machine, Speakers, Computer, & More. 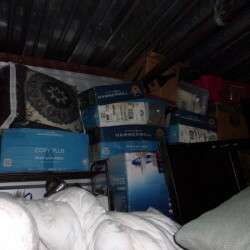 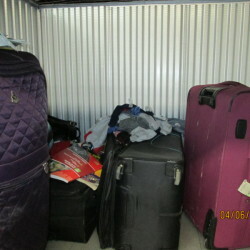 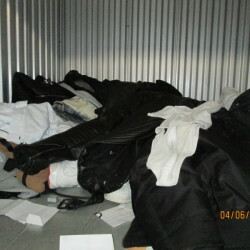 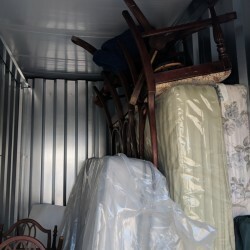 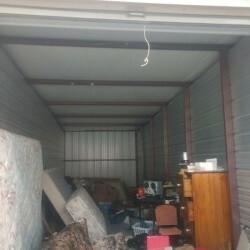 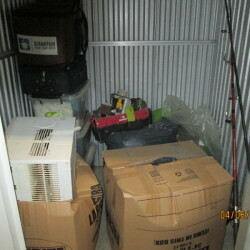 The unit appears to contain many boxes and totes stacked on the left side facing the unit, recliner, mattress, bed frame and furniture. 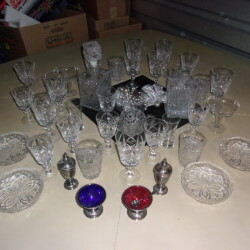 glass ware, desk, christmas decor, bed bedding, books, pillows, old china set, misc. 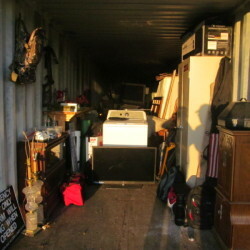 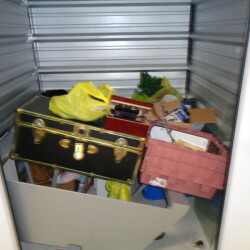 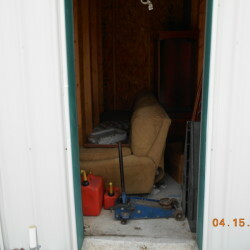 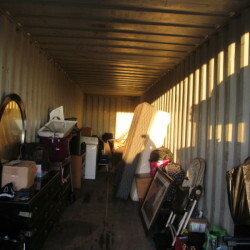 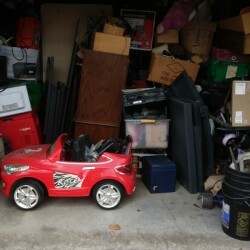 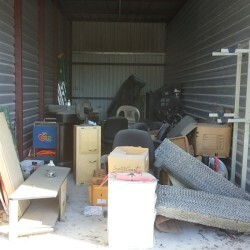 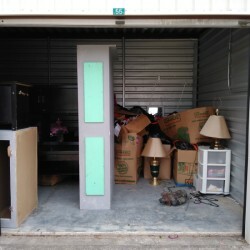 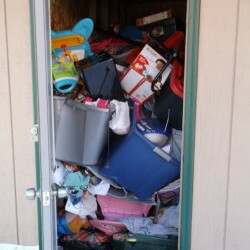 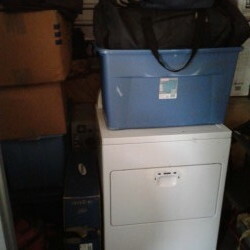 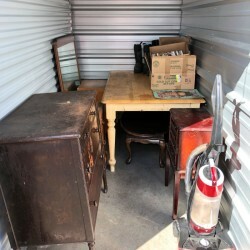 items, patio table, office chair, xmas tree, file cabinet , two drawer plastic cabinet, tv stand, two trunks no key. 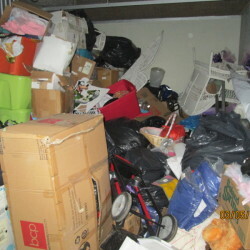 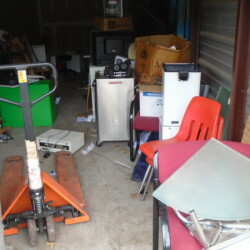 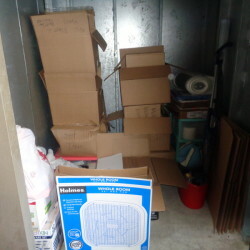 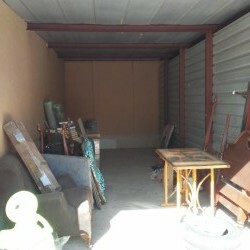 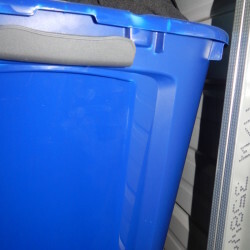 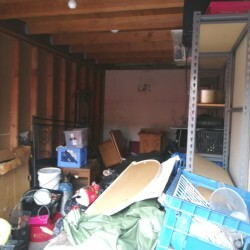 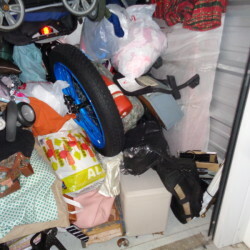 Wheelchair, Shelving, Desk Chair, Box Fan, Totes, Boxes and more. 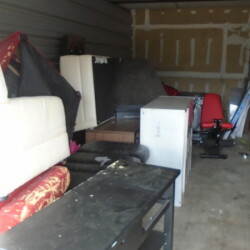 Couch, Dresser, Electronics, Table, Chair, Mattresses, more.